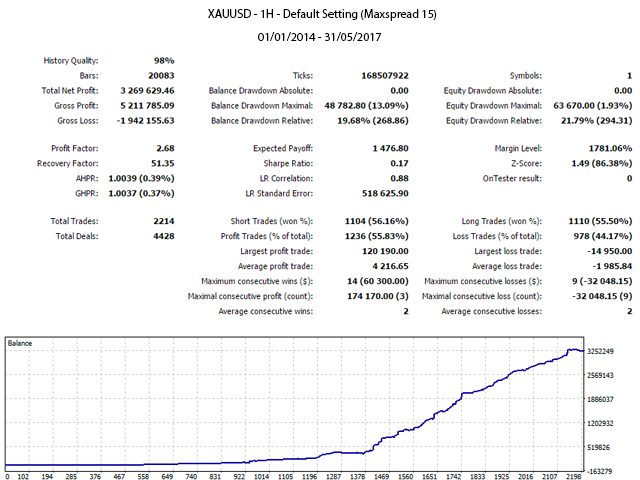 This Expert Adviser follow the traditional way of technical analysis. It enters the trade when there is a price breakout from resistance or support levels, which are determined based on the selected indicator. 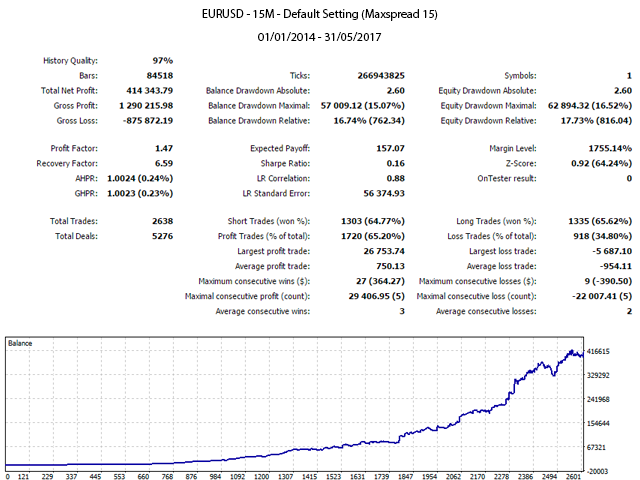 This system offers money management, with Take Profit, Stop Loss and Trailing Stop. 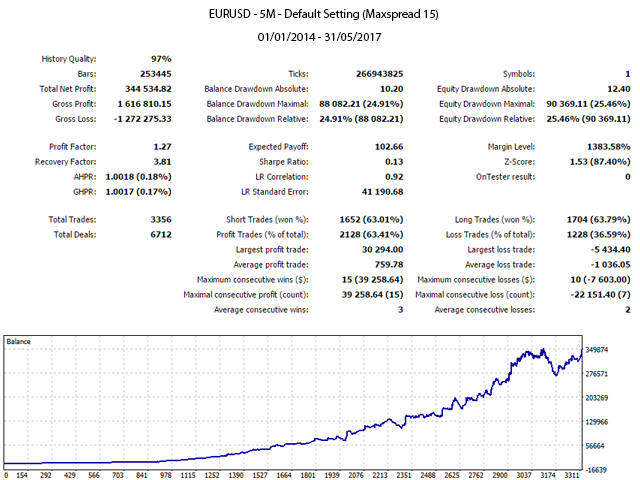 This system will not enter the position when the spread is higher than usual spread or user desired. 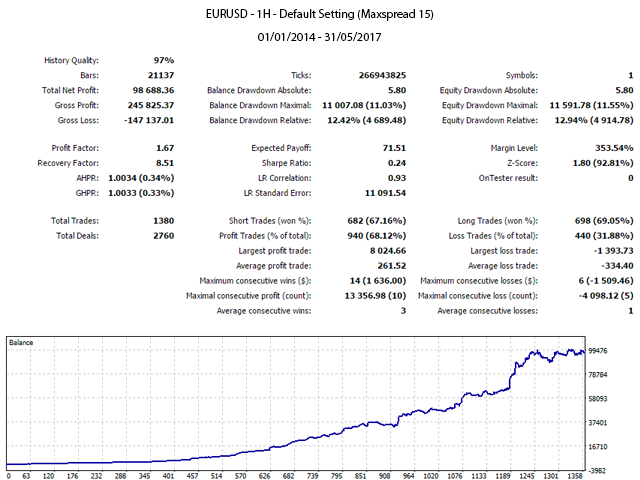 This system is designed for the M5, M15 and H1 timeframe for XAUUSD, EURUSD, GBPUSD and USDJPY. But can be used with other currencies and other time frames. MoneyManagement – Select between auto lot calculate by maximum loss per trade or manual lot determine by user. PositionSize - if MoneyManagement is auto lot, please specific the risk of maximum loss per trade as percentage. Else if MoneyManagement is manual lot, user can fill-in size as desired lot size. 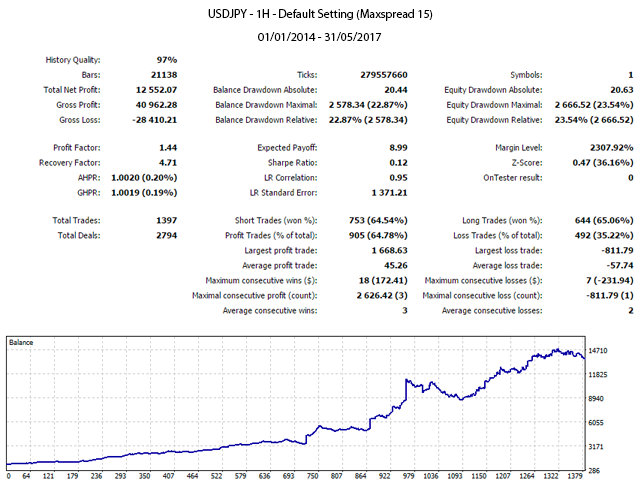 TakeProfit – Distance to take profit in point. StopLoss – Distance to stop loss in point. TrailingStop – Distance to trailing the profit in point between highest/lowest market price and current stop loss. Channels – Maximum Highest/Lowest price in the period to determine resistance and support.